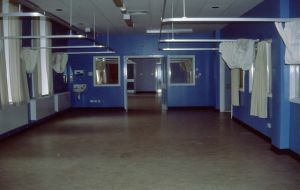 In February 2003 Highroyd’s Hospital at Menston, just outside Leeds, one of the great West Yorkshire Asylums, was closed. 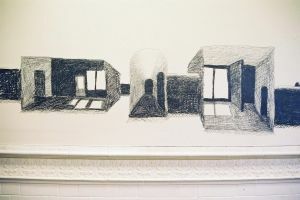 Paul Digby, a professional artist, who has taken an interest in mental institutions and how their architecture reflects their functions, became involved in the events surrounding the hospital’s closure. He was commissioned to paint a brightly coloured mural on the hospital’s corridor wall as part of the local “Mind Odyssey” Event for 2002. He also drew representations of different spaces in the old buildings, “Interior Spaces”, while visitors came to say their goodbyes. 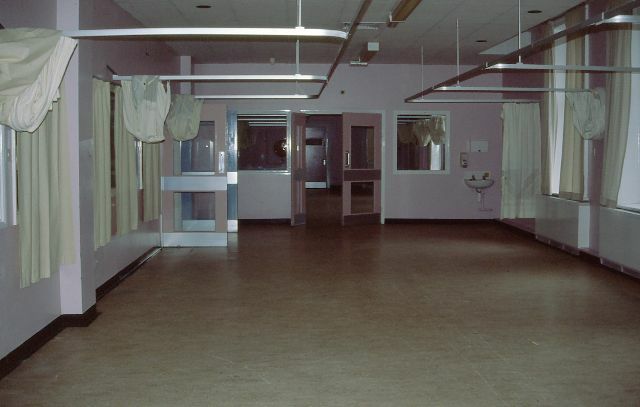 He was therefore able to talk to people who had been associated with the hospital in different ways, as staff, patients or as nearby residents from the village of Menston. 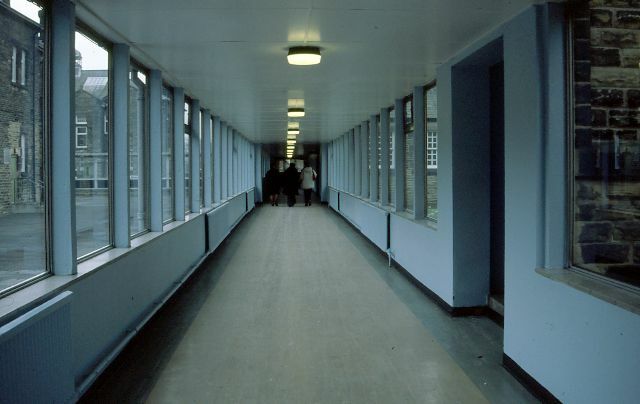 This image “Corridor” of one of the Highroyd’s corridors was executed shortly after this experience. It portrays the hospital in sombre mood. 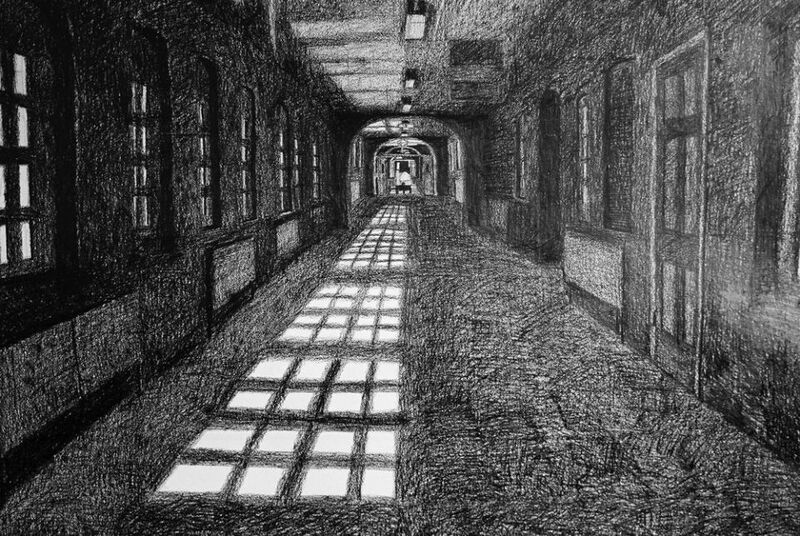 The dark graphite pencil work on paper 1.2 metres by 1.5 metres conveys both the mental suffering that the place knew well and the complex mourning process, the love and loss, of those who were leaving a place that had been an important part of their lives for many years. The mixture of light from the windows and the dark interior space vividly conveys the memories of theses old institutions, once at the forefront of medical care but now with new methods, policies and philosophies brought into question. The work captures light falling into a dark space offering a balanced view of this passing. 1. Mind Odyssey was instigated by the Royal College of Psychiatrists in 2001 and was taken up with vigour in the Leeds area. 2. “Corridor” belongs to the Welcome Trust Archive.